To paraphrase the famous quip, “good judgment comes from experience, and experience comes from poor judgment.” Such witticism is embodied in the legal doctrine known as the Business Judgment Rule. Since Lamden v. La Jolla Shores Clubdominium Homeowners Assn. (1999) 21 Cal.4th 249, the Business Judgment Rule has been used to shield volunteer association boards from liability for errors in judgment. In such cases, courts will defer to the decisions of these boards in making decisions, particularly when it comes to maintenance or repairs/replacement of major components. The board in Lamden consulted with contractors and pest control experts over the course of several years before deciding on a course of action to its persistent termite problem. It also seriously considered fumigation, including obtaining a bid, and ordered a significant amount of “remedial and investigative work.” In the end, the board chose spot treatment over fumigation because of concerns about “possible problems entailed by fumigation, including relocation costs, lost rent, concerns about pets and plants, human health issues and eventual termite reinfestation.” After being sued by a homeowner who disagreed with the decision, the board prevailed at the California Supreme Court. The Court found there was ample evidence that the Board had engaged in “reasoned decision-making” and thus was deserving of judicial deference to its decision, even if the decision was the wrong one. In Affan v. Portofino Cove Homeowners Association (2010) 189 Cal.App.4th 930, for example, sewage backups occurred in Plaintiffs’ building numerous times over several years. After the owners complained that the backups had become a chronic situation, the association finally hired a plumbing contractor to clean the drain lines. A major sewage backup occurred thereafter and rendered the owner’s unit uninhabitable. The court of appeal held that the business judgment rule did not shield the board from liability for ignoring problem for so long. The court noted that the association’s annual maintenance program did not trigger application of the business judgment rule, either. It found the maintenance program inconsequential because it “had no discernable effect” on the principal cause of the plumbing problems – the main drain lines. Fortunately, Affan provides a good checklist for boards to lay the foundation for use of the Business Judgment Rule as a defense (in addition to simply being good practice). First, the board must conduct a reasonable investigation into the problem prior to making a decision. This reasonable investigation requirement is perhaps the most important action item to take away from the case. Becoming and staying informed of the problem and potential solutions (particularly when major components are involved) will help avoid liability. In most cases, board members are volunteers and not experts in these various fields, so they should not pretend to be. Boards should obtain bids from contractors and rely on experts to investigate problems, recommend potential solutions and then provide respective costs and benefits to be weighed. Likewise, as applied to individual directors, the Business Judgment Rule does not permit individual directors to close their eyes to what is going on about them in the conduct of the business of the corporation and have it said that they exercised business judgment. In Palm Springs Villas II Homeowners Assn., Inc. v. Parth (2016) 248 Cal.App.4th 268, members sued a director who had made numerous maintenance/vendor decisions without board approval and claimed ignorance that it was. For example, she hired a new management company and contractors, and then borrowed over a million dollars on behalf of the association on her own. She asserted the business judgment rule as a defense. The court, however, found there was ample evidence that she did not act as an ordinarily prudent person under similar circumstances and she failed to make reasonable inquiries as indicated by the circumstances. 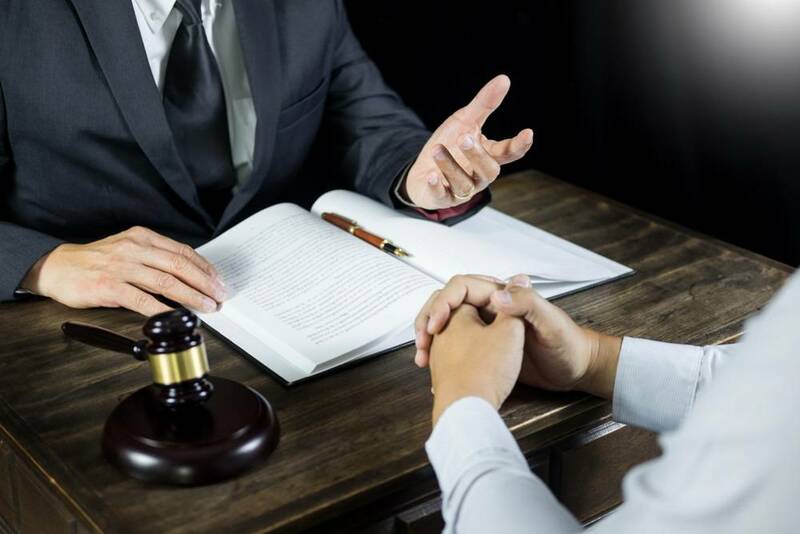 Thus, the business judgment rule does not immunize a director from liability in the case of his or her abdication of corporate responsibilities. Secondly, the board should create and maintain good records reflecting its’ decision-making process. The Affan court found a “dearth of evidence” that the board weighed the pros and cons of any particular course of action before deciding on a maintenance plan. The Business Judgment Rule protects decisions that weigh the costs and benefits, or that consider other factors (such as impact on the quality of life or timelines). In addition to obtaining bids and reports from experts, ensuring that agendas, action lists, notices and meeting minutes accurately reflect the meeting discussions, factors weighed, and actions taken will go a long way in documenting the board’s decision-making process. Lastly, decisions must be made in good faith and/or without any fraud. Good faith largely means avoiding conflicts of interest by directors and putting the bests interest of the community first. It also means that any investigation is not only reasonable but serious. Investigations that are restricted in scope, shallow in execution or so pro forma or halfhearted will not support a finding of good faith, but rather demonstrate a pretext or sham that will not support application of the Business Judgment Rule. In practical terms, decisions should not merely rubberstamp recommendations by the management company or vendors as to the best course of action without weighing of various factors. As mentioned above – obtain bids and opinions from experts, analyze costs and benefits, and do not rely on the unsubstantiated assumptions of directors or uninterested third parties who think they know best. While the Business Judgment Rule is most commonly associated with maintenance and repair decisions, it is not limited to that. While some courts have hinted that may be the case, it is not. There is no reason to read Lamden so narrowly. In fact, courts have given deference to board decisions that do not concern ordinary maintenance. Thus, for example, in Dolan-King v. Rancho Santa Fe Assn. (2000) 81 Cal.App.4th 965, 979, the court gave deference to an association board’s decision denying an owner’s application for a room addition on aesthetic grounds. Similarly, in Watts v. Oak Shores Community Assn. (2015) 235 Cal. App. 4th 466, the court applied the Business Judgment Rule in defense of the association that imposed rules and imposed fees on members relating to short term rentals of units. Applying Lamden and Affan, the court found that decisions made by the board will be upheld so long as they represent good faith efforts to further the purposes of the common interest development, are consistent with the development’s governing documents, and comply with the public policy. Courts may not always defer to boards, however, particularly when it comes to interpretation of governing documents. In Dover Village Assn. v. Jennison (2010) 191 Cal.App.4th 123, 130, the Association argued that its determination of whether a portion of sewer line was exclusive use common area was up to its discretion – a decision to which the court should defer. Unsurprisingly, the court disagreed, finding that the rule of judicial deference does not apply to an association board’s improper construction of the governing documents. The court held that there is an obvious difference between a legal issue over who precisely has the responsibility for a sewer line and how a board should go about making a repair. Use the experience of the boards from cases such as Lamden and Affan to make good judgments now. In addition to simply being good practice, (1) staying well informed, (2) documenting the board’s decision-making process, and (3) avoiding conflicts and taking Board responsibilities seriously should assist your board in setting up the Business Judgment Rule as a defense in future litigation and hopefully help to avoid such lawsuits in the first place.